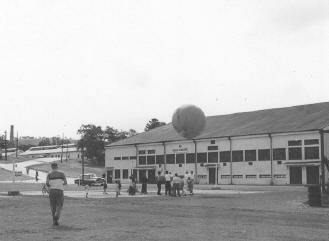 The photo was taken in 1954 at Camp Sendai. It shows a balloon being launched. People made model airplanes here. Some soldiers bowled.